Aircraft Ground Power Unit. Doubles as a fully protected, automated charger/maintainer. Package includes battery clips and choice of plug. 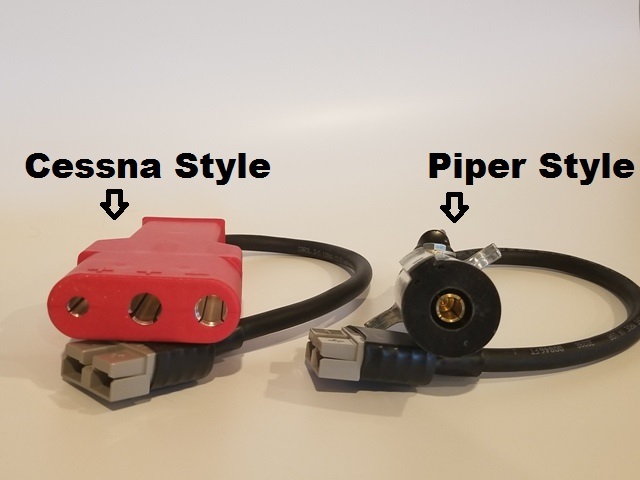 12 volt units are rated at 25 amps. and 24 volt units are rated at 20 amps. 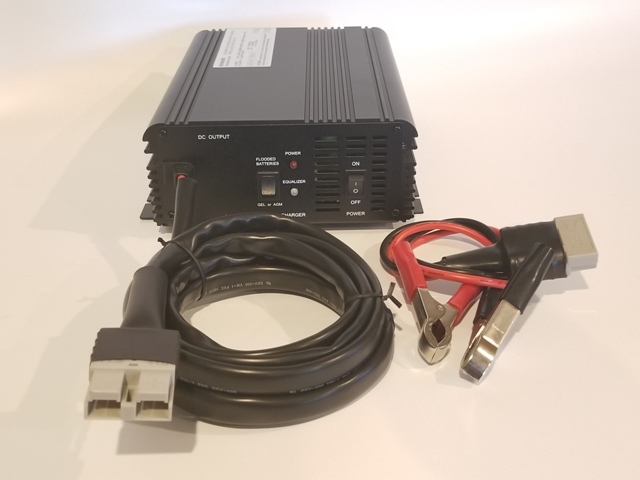 Fully Automatic Multimode Electronic Charger by Schauer! Intelligent chargers follow battery impedance to end of charge cycle for all battery types. Fully automatic. Red LED indicates AC power on, yellow LED indicates battery is charging, green LED indicates float mode. • Charge control: constant current charge to a constant voltage, then to a float standby. • Fully automatic 3 stage charger can be left on the battery in maintaining/float mode. • Can be set for any type lead acid battery, including conventional, maintenance free, deep cycle, gelled-type, valve regulated batteries. • Cyclic Voltage: Flooded 2.47 volts/cell; Gel & AGM 2.4 volts/cell. May be preset to customer’s specification for battery type. • Continuous – 100% duty cycle. • Low voltage start: will start a deeply discharged battery with low terminal voltage. • Reverse polarity and short circuit proof. 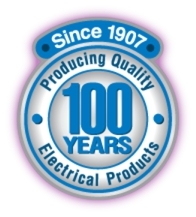 Since 1907, Schauer has been developing and manufacturing electrical products. They manufacture a broad line of charging products for industrial and consumer applications.